Hard rock band Cinderella gained success in the mid-'80s, turning out a series of million-selling albums and hit singles while placing music videos in heavy rotation on MTV. By the mid-'90s, the group's mass popularity had subsided due to professional setbacks and perceived changes in taste. But they continued to tour regularly well into the 21st century. 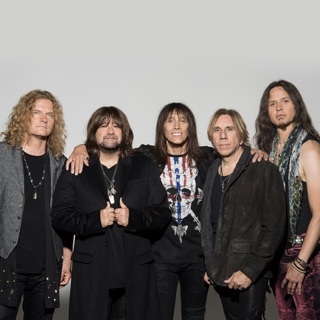 Cinderella was founded in Philadelphia, PA, in 1983 by singer/songwriter/guitarist/keyboardist Tom Keifer (born January 26, 1961) and bassist Eric Brittingham (born May 8, 1960), who quickly added lead guitarist Jeff LaBar (born March 18, 1963). Guitarist Michael Kelly Smith and drummer Tony Destra were also early members of the band, but they left in 1985 to form Britny Fox. Cinderella then added drummer Jody Cortez and continued as a four-piece. Insisting on playing original material, they performed in clubs and bars in Pennsylvania and New Jersey, and in 1985 Jon Bon Jovi caught one of their shows. He was sufficiently impressed to alert his record company, Mercury, which signed the band. Their debut album, Night Songs, was released in June 1986. Shortly after its completion, Cortez left the band and was replaced by Fred Coury (born October 20, 1964). The LP was not an immediate success, but it gained momentum gradually while the band toured extensively as an opening act to promote it. It broke into the Billboard chart in July, and the track "Shake Me," although it failed to chart as a single, got enough radio attention to turn up on Billboard's Album Rock Tracks chart in August. On October 1, the album was certified gold. That month, Mercury released a second single, "Nobody's Fool," accompanied by a music video that earned play on MTV; it broke into the charts in November and peaked at number 13 in February 1987. Its success further stimulated sales of the album, which was certified platinum in December 1986 and broke into the Top Ten by the end of the year; it peaked at number 3 in February 1987, and that same month was certified double platinum. In April, Mercury released a third single, "Somebody Save Me," which peaked at number 66 in May. (The album was certified triple platinum in May 1991.) Having broken through to popular success with Night Songs, Cinderella returned with their second album, Long Cold Winter, in July 1988. Radio initially focused on the track "Gypsy Road," giving it a Top 20 ranking in the Album Rock Tracks chart, but Mercury did not release it as a single at first (although in the U.K., where it was released as a single, it charted). Instead the power ballad "Don't Know What You Got (Till It's Gone)" was released as a single in August, and it peaked at number 12 in November. The album reached number ten in September, the same month it was certified gold and platinum simultaneously, with a double-platinum certification following in November. (It was certified triple platinum in January 1997.) As the group continued to tour relentlessly through 1988 and 1989, Mercury broke more singles from the LP. "The Last Mile," released in December, peaked at number 36 in March 1989; "Coming Home," released in March, hit number 20 in June; and "Gypsy Road," finally put on 45 a year after the release of Long Cold Winter in July 1989, and backed by a live version of the Rolling Stones' "Jumpin' Jack Flash," got to number 51 in September. Again, Cinderella came off the road and spent a year crafting its third album, Heartbreak Station, which appeared in November 1990. 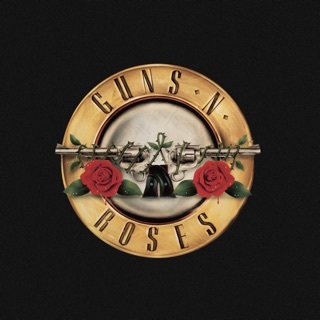 Although it was a hit out of the box, going gold in January 1991 and platinum in February, the album encountered more resistance than the band's previous efforts, peaking at number 19, with no multi-platinum certifications forthcoming. Leadoff single "Shelter Me" peaked at number 36 in February, and the title song reached number 44 in April. More disturbing than this mild commercial disappointment, however, were problems within the band. Coury departed, and Cinderella initially replaced him with Kevin Valentine, then hired noted session drummer Kenny Aronoff temporarily before bringing in Kevin Conway. Then, after the U.S. leg of the Heartbreak Station tour had ended and the band was gearing up to go to Japan in 1991, Keifer woke up one morning and found he couldn't sing. Doctors initially were unable to figure out what was wrong, but a specialist finally diagnosed paresis of the laryngeal nerve controlling the left vocal cord. Keifer was forced to undergo two throat operations, followed by extensive therapy. Cinderella managed to put a track, "Hot and Bothered," on the chart-topping Wayne's World soundtrack, released in February 1992, but otherwise the band was out of commission for an extended period of time. In the meanwhile, fashions changed. 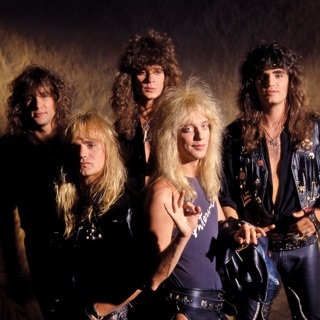 Cinderella had been part of a "pop-metal" movement including Bon Jovi, Great White, and Ratt, who preceded them, as well as Poison, the enormously popular Guns N' Roses, and L.A. Guns, who followed them. But when "grunge" rockers Nirvana, boasting a neo-punk style, broke through to success in the fall of 1991 with their album Nevermind and single "Smells Like Teen Spirit," the record labels suddenly became enamored of their stripped-down approach. Suddenly, instead of the teased and blown-dry coiffures and skin-tight stage costumes of the pop-metal bands, it was the dirty-hair-falling-in-the-face, flannel-shirt-and-jeans look of Nirvana frontman Kurt Cobain that was all the rage. Soon, the pop-metal groups were written off with a new epithet, dismissed as "hair metal" bands. By the time Keifer & Co. finally emerged with the fourth Cinderella album, Still Climbing, in November 1994, it could only manage to spend one week at number 178 before disappearing. Mercury promptly dropped the band.